Dr Kamyar Alavi, senior technical advisor at Nynas, shares his insights on how bio-based oil plasticisers present a sustainable alternative to conventional, mineral tire oils, and talks about the challenges of introducing a new, more environmentally friendly material to complement a well-established one. Tell us about compounds prepared from non-mineral-oil plasticisers and their benefits. 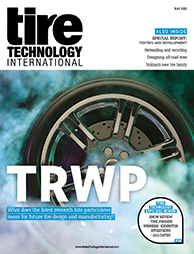 For the study that I will present at the Tire Technology Conference, we tested high-performance tire tread formulations made using bio-based oil plasticisers and compared them with those made using conventional tire oils. Through our work we found a way to bring the performance of bio-based plasticisers to the same level as – and even surpassing in some respects – the performance of traditional tire oils. Is there still ground to be made up in terms of performance compared with mineral-oil-based products? There are two aspects to this question. First, the product that will be introduced already possesses some very desirable qualities, meaning it will offer an attractive alternative to existing conventional solutions, especially for those customers who see the value in moving towards bio-based raw materials. Second, we need to remember that there is still much more to do as the whole concept increasingly gains attention and develops at a high rate. Our intention is to continue our exploration, to find improvements in bio-based plasticisers and to also develop a bio-based complement to our mineral-oil-based tire oil portfolio. What are the key challenges and how have you overcome these? When introducing a new type of raw material, there are quite a few aspects to take into account to ensure everything goes smoothly from the technical aspect to the market introduction. The way to overcome these challenges is to keep a holistic view and ensure that all question marks are brought to the table in time and addressed properly. Our focus for the future is to both expand the portfolio and, hopefully, to also further increase the performance. However, I would like to emphasise that rather than being seen as a replacement for our mineral-oil-based rubber and tire process oils, we are developing our bio-based product range as a complement to it, to address the needs and demands of different sectors of the tire and rubber market. 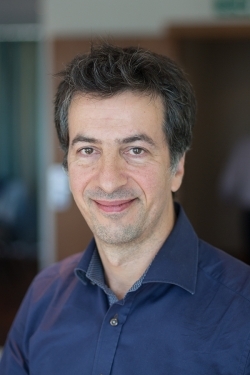 Kamyar Alavi will give a presentation titled Sustainability and performance: non-mineral-oil-based tire and rubber plasticisers at the Tire Technology Expo Conference. Click here to book your delegate pass.